We are back with another release packed with new features and enhancements to help you succeed on your agile transformation journey. 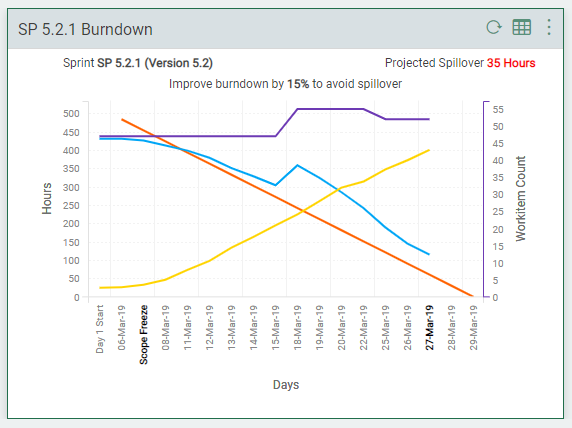 Now you can easily co-relate how scope change has impacted your sprint’s progress in the Burndown Chart itself. 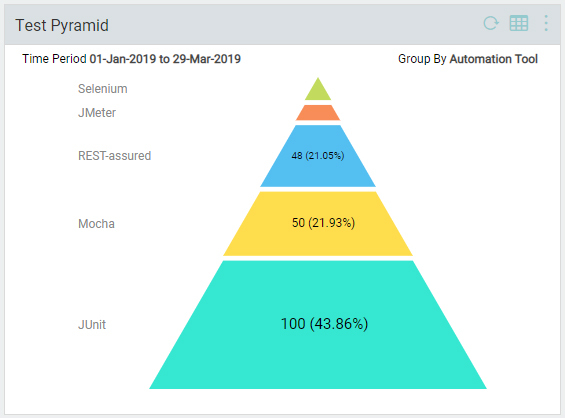 On the quality front, visualize your test automation suite to know if it has the right proportion of test units across categories with the new Test Pyramid chart. And now with the power of Swiftly, you can get key insights using Lean analytics about the release execution in your Agile projects. Along with these, we have made several enhancements so that you get a better experience on the web and the Mobile App. Once the scope of work for the sprint gets chalked out during the sprint planning activity, the team works towards completing the committed items during the sprint. However, there are times when the scope of work changes. The team then analyzes and decides to accept the change after weighing all factors. For this scope change event to be apparent while tracking sprint progress, we have provided an option to view the Workitem Count on the secondary axis of the burndown chart. So, any spike or drop in the remaining effort can be easily correlated with the scope change. The Test Pyramid conceptualized by Mike Cohn is a great way of visualizing a well-balanced automation test suite for running your agile projects effectively. In a glimpse, it helps you know whether you are developing more automated unit tests to get faster feedback. We have brought this concept alive with the new Test Pyramid widget in Agile projects. Ideal test pyramid has a broader base with larger number of unit tests and decreasing number of service and functional/UI tests. Whereas, a cone-shaped pyramid gets developed when UI tests are higher than unit tests. This typically happens when there is little focus on unit testing thus causing long lead times, low value and unpredictable results due to large number of UI tests. For all practical purposes, we have given the ability to select the test categorization so that you can define the test unit granularity on the basis of automation tools used for different levels of testing. The new Releases & Sprints page, helps you view all workitems tagged to various releases and sprints in a single window. The same page also offers key statistics like Estimated Points, % Scope Completed, Workitems Added, Team Size so that you have a better understanding of what happened during the sprint execution. NOTE: We have now replaced the Planning Board with the refreshing Backlog Refinement Board. With the Backlog Refinement Board, viewing the backlog items, grooming them, assigning them to Sprints with the guidance of remaining capacity & sprint velocity has become much more intuitive and user-friendly. When you move cards in the value stream as work progresses, a whole lot of data gets generated. This data can unlock great insights using flow metrics like Cycle Time, Flow Efficiency, Cumulative Flow Diagram, and answer questions related to Demand, Capacity, Throughput Forecast and many more actionable metrics. Swiftly is a powerful value-stream analytics tool that analyzes your current value-stream data and offers key insights through intuitive actionable metrics. Now, you can leverage these analytics for your Agile projects by exporting required data and uploading it to your Swiftly account to view the analytics. To help you groom, prioritize, plan and execute defects as part of Releases & Sprints getting executed in Agile projects, we have introduced the Bug eForm. This is an alternative to the Defect eForm which has workflow based tracking. We recommend you use the new Bug eForm to get an all-round experience like other Agile workitems instead of the Defect eForm. It will be the default eForm for further updates for tracking bugs in Agile projects. 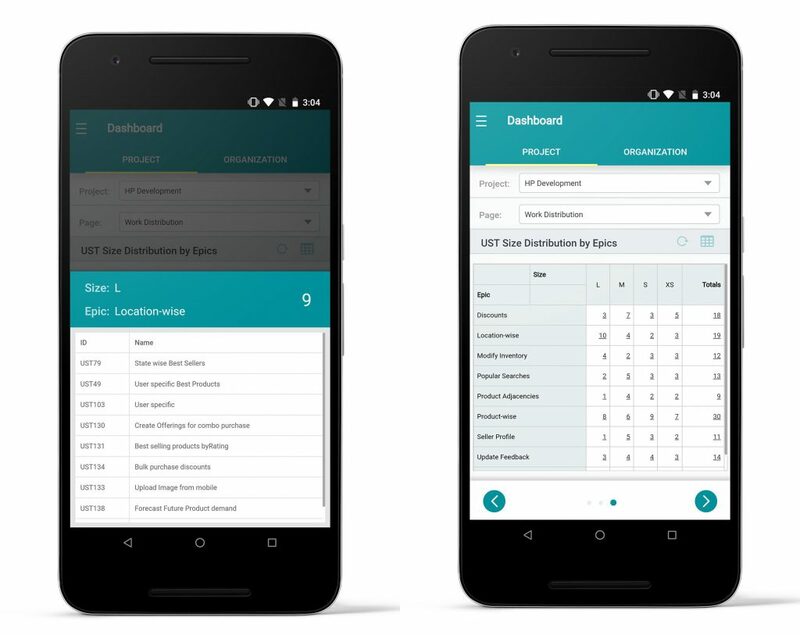 For workitem based widgets like Item Status and Pivot Widget, you can now drill-down to the last level to view the item list on your Mobile App’s dashboard widget. Change chart level for your Pivot widgets built with ECR. Toggle between Pivot and Summary view for your Pivot widgets built with ECR. Filter cards on Execution Board using ToDo Owner criteria. Back button on Execution Board to navigate to Sprint Planning View.